There are many wallet options available to hold Stratis tokens such as Electrum Stratis, Stratis-qt wallet (for staking), and hardware wallet integrations (Ledger Nano S for example). 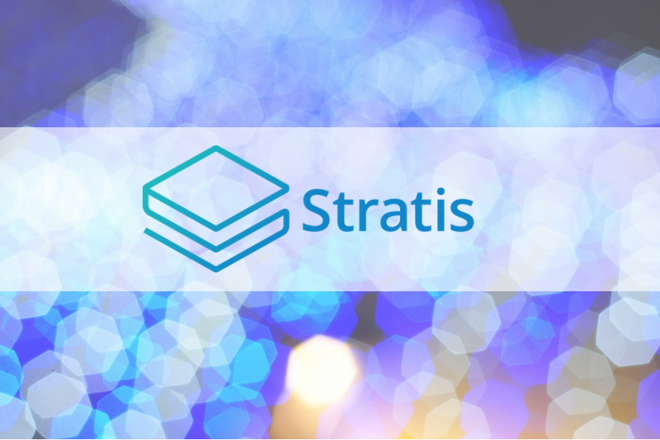 The Stratis team has been working on developing a state-of-the-art wallet that integrates a tumbling technology to privatize transactions and allow seamless BTC → STRAT token exchanges. On October 23, the team released a beta version of the software wallet known as Breeze which integrates TumbleBit technology (which is compatible with the BTC protocol) to “tumble” transactions, ultimately making them private and unlinkable. This integration brings a lot of key benefits that not only caters to the average investor, but also large industries including the fintech industry and medical industry where privacy is a must. The security and the integrity of the system is backed by cryptography, much in the same way that Bitcoin is. The Breeze Wallet will offer its users a level of privacy not available in any existing Bitcoin wallet. It provides an end-to-end privacy solution for Bitcoin and Stratis users, that works with today’s Bitcoin protocol and does not require any forks. This article explains the features of the Stratis Breeze beta wallet, and how this piece of software looks to redefine the transactional privacy of Bitcoin. This in turn can also lead to mass exposure of the Breeze wallet to millions of Bitcoin users around the world. As of October 31, the Breeze beta wallet is still in testnet mode, meaning that any Bitcoin/Stratis tokens received/sent using this wallet are not “real”. 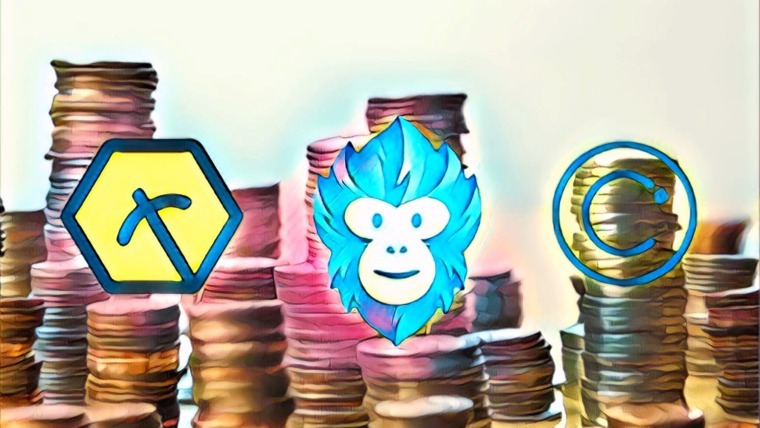 Since these tokens are test tokens, it allows the team to unveil the software to its users. Users can try and test the features to ensure there are no bugs before the team releases it live on the main network. Along with this, as we approach the release of Segwit2x, it makes sense to wait until after the release of Segwit2x to deliver the main network release. This makes it easier for the team as they don’t need to support Segwit2x in the Breeze wallet. Since there was an alpha release of Breeze prior to the release of Breeze beta, users who have the alpha release will need to perform these steps to ensure compatibility. 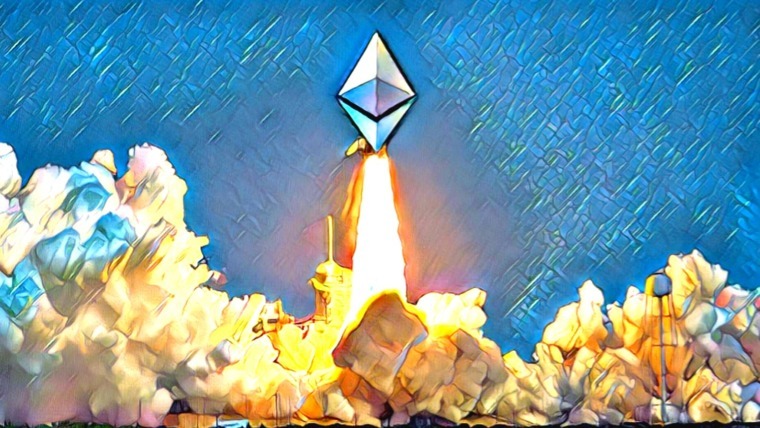 There is also a link to download the updated wallet from the team’s github page. The beauty of the Breeze beta release is the wide array of supported operating system platforms: Windows, Mac OSX, and Linux. 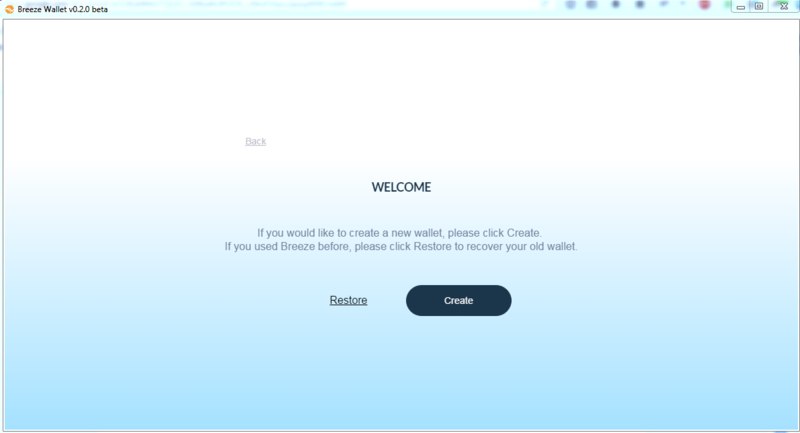 When you’ve downloaded the Breeze beta wallet, you will be given the option to choose a wallet to open (if you already have an existing one) or to create/restore a new wallet. Figure 1 shows the welcome window upon starting Breeze. Figure 1: Breeze beta welcome window. In this article, you will learn the steps to create a new wallet. When clicking Create or restore a wallet, you will be led to another page to create the wallet as seen in Figure 2. 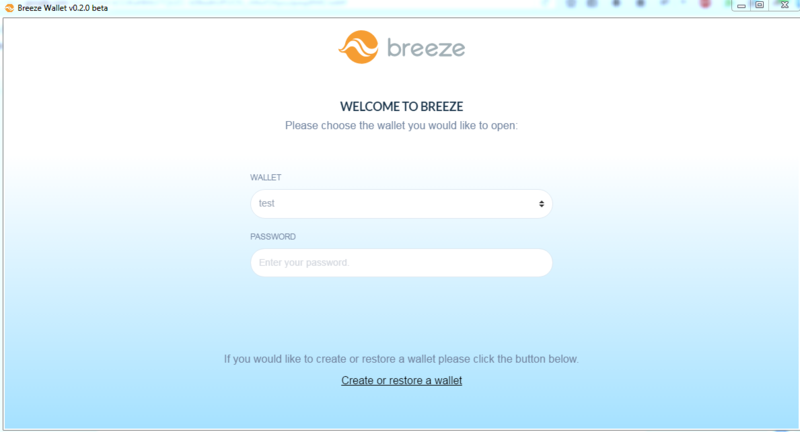 Figure 2: Create a new wallet in Breeze. 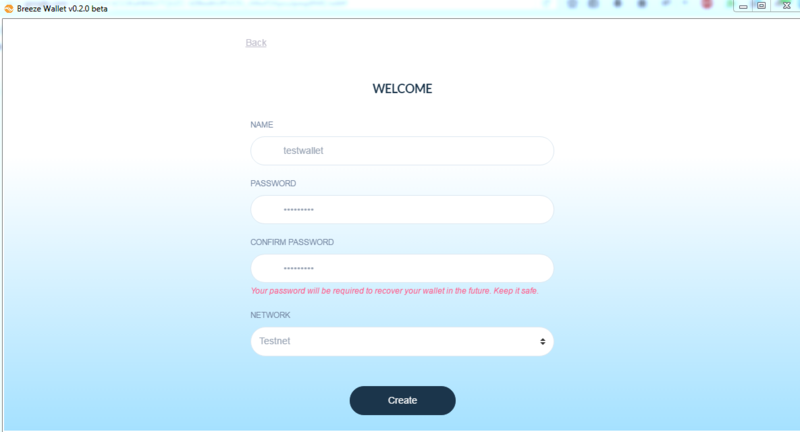 Immediately after clicking Create, the application will prompt you to input a name for your wallet, a password (to recover the wallet, if required at any point), and the option to choose which network. In this case since Breeze beta is still in testnet, that is what is available. Figure 3 shows the required fields to be filled out. Figure 3: Fill in the required information to get started with Breeze! 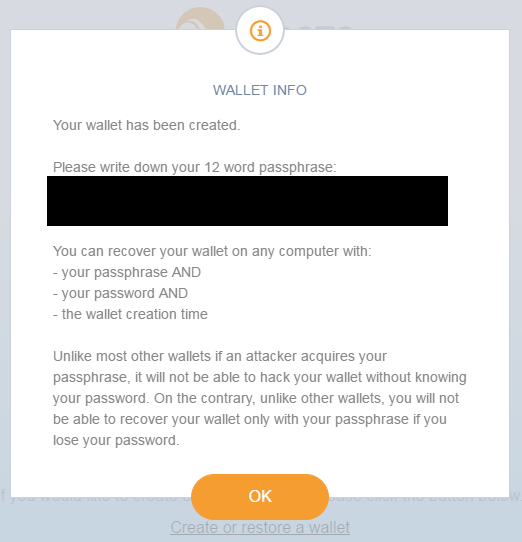 After filling in this required information, the wallet will be created and Breeze will generate a 12 word passphrase used to help recover your wallet if your computer crashes, or you have to reinstall it. Figure 4 shows the dialogue produced by Breeze regarding the importance of saving the 12 word passphrase + password (that you generated during the creation of the wallet) + wallet creation time. Figure 4: Importance of saving your 12 word passphrase is dictated in this dialogue. Once the 12 word passphrase, also known as a seed, is saved, you will be able to decrypt your new wallet with your password. Once granted access to your wallet, you will see an application window similar to Figure 5. 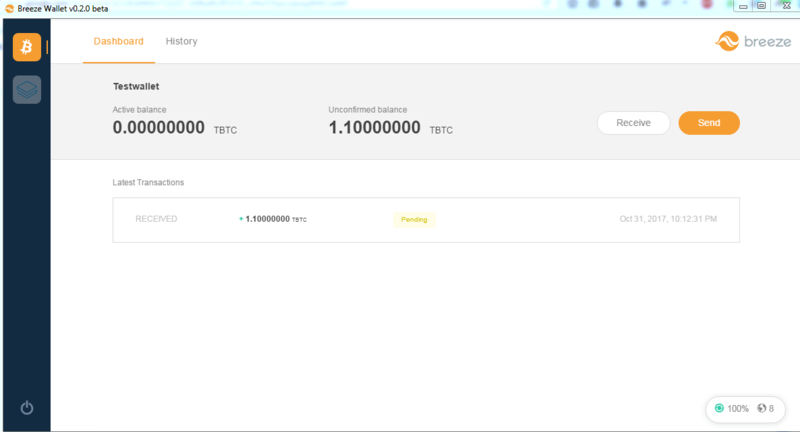 Figure 5: Breeze beta wallet dashboard (with some tBTC tokens). For the purpose of this article, I received some tSTRAT & tBTC (test STRAT and test BTC) to show what the funds look like in the beta wallet. If you would like to receive some tBTC coins (which are worthless, by the way! ), please go here to request them by filling in your tBTC receiving address. Now there are a few things to note in Figure 5 that I’d like to mention and review. Firstly, the sidebar with the option to easily switch back and forth between the Stratis wallet and BTC wallet makes Breeze very user-friendly. Currently, the clean UI (user interface) in beta has limited features such as viewing your available balance, your unconfirmed balance (when your transaction is in the process of being verified by the nodes), sending and receiving tokens, and the transaction history. On the bottom right corner of the Breeze beta application, there are two numbers. Figure 6 shows the details of those numeric values. Figure 6: Total blocks in the blockchain (1211505 blocks) and connections to 8 nodes. Clicking the Receive button in Breeze will reveal your receiving tBTC address which can easily be copied to the clipboard by clicking copy. Figure 7 shows the dialogue screen that pops up when requesting your receiving address. Figure 7: Receiving tBTC address. On the other hand, the Send screen shows more options when sending tokens from your address to the destination address. Figure 8 shows the Send screen. Figure 8: Send screen in Breeze beta. The Breeze beta wallet makes it fairly simple to send tokens as can be seen in Figure 8. When sending coins, enter the amount you want to send, the destination address, select your transaction speed, and enter your wallet password. The first two are self-explanatory. The transaction fee relates to the speed of your transaction being processed and verified by the nodes on the network. This means that if you want your transaction to be fast, then ideally you would choose the High/Fast transaction fee option. Otherwise, you can leave it set to Medium or Low/Slow if you want to pay the lowest transaction fees. Finally, the Breeze beta wallet shows the history of transactions in the History tab. Figure 9 shows the details of the transactional history. Figure 9: History of transactions. 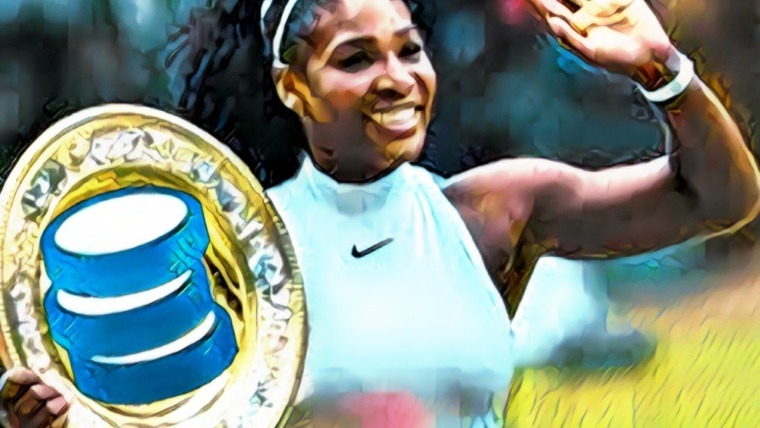 In the example in this article, I received 1.1 tBTC from the test faucet. At the time of writing, the status of the tokens are still pending. This is why it shows 1.1 tBTC in the unconfirmed balance since the nodes have not verified the transaction yet. 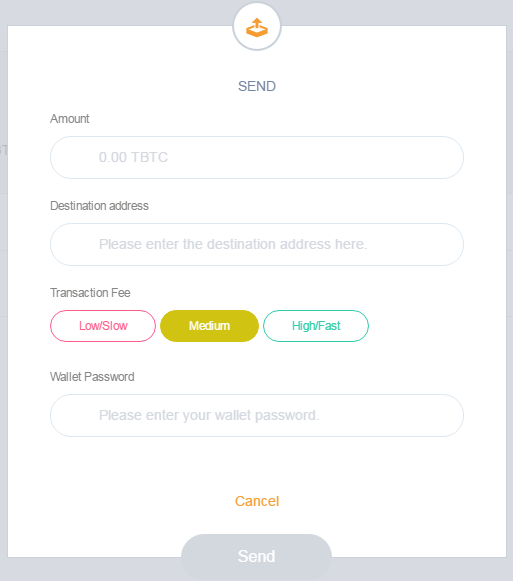 As transactions come in, the complete history of tBTC transactions will show here, and the history of tSTRAT transactions will show in the tSTRAT wallet. Reviewing the Breeze beta wallet and testing out the features has only shown the impressive work the Stratis team has done to develop it. The ease of creating the wallet for the first time and navigating through the clean interface makes it a very appealing solution for both non-technical users and technical users. The highly ambitious goal to revolutionize privacy in a wallet such as Breeze will allow users of both Stratis and BTC to take full advantage of the technology of TumbleBit. Breeze will remove the need to rely on centralized tumbling/mixing services which tend to be scams by putting the privacy back in the hands of the user through unlinkable and truly private transactions. Moving forward, the next step after the testing of Breeze beta is complete seems to be a push towards the mainnet release. With the move towards deploying this powerful wallet on the live network, we will see many users from around the globe enjoying and reaping the benefits of the technology. With that said, it is crucial that more testers come forward to try the wallet and play around with its features. 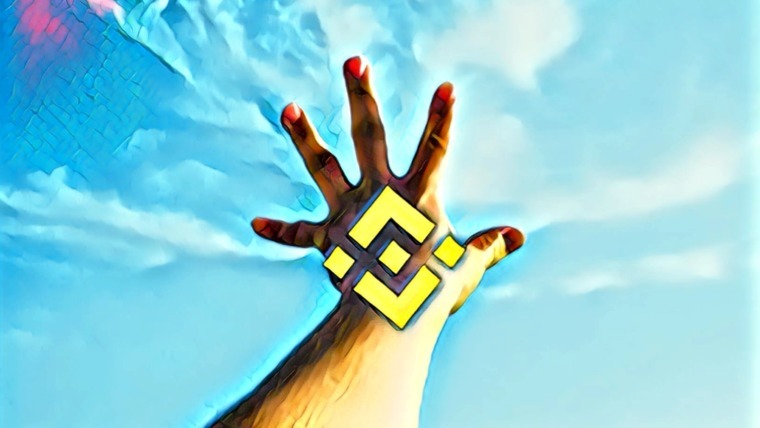 Use this article as a guide to learn more about the wallet functions through a “hands-on approach”. The Stratis team has reached a very important milestone as they move forward with their roadmap, and they are only getting started! 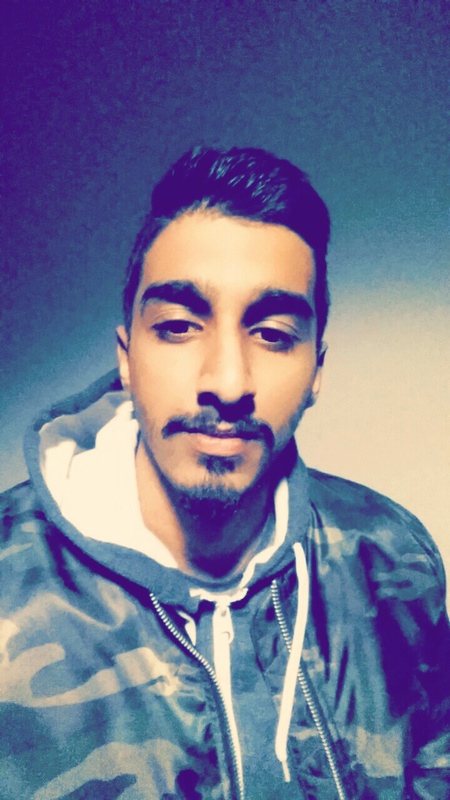 Deepak is a computer science student and an avid blockchain technology enthusiast. He is interested in privacy-based cryptocurrencies and has a strong focus towards network security. This article explains the features of the Stratis Breeze beta wallet, and how this piece of software looks to redefine the transactional privacy of Bitcoin. this is the block that explain about the stratis breeze beta wallet.